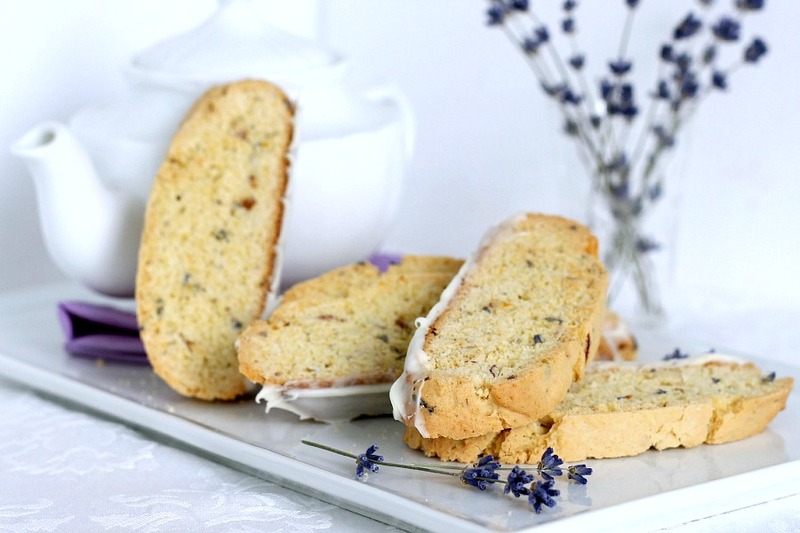 Did you know lavender is not just for imparting its lovely fragrance but that it also adds a delightful flavor to baked goods? 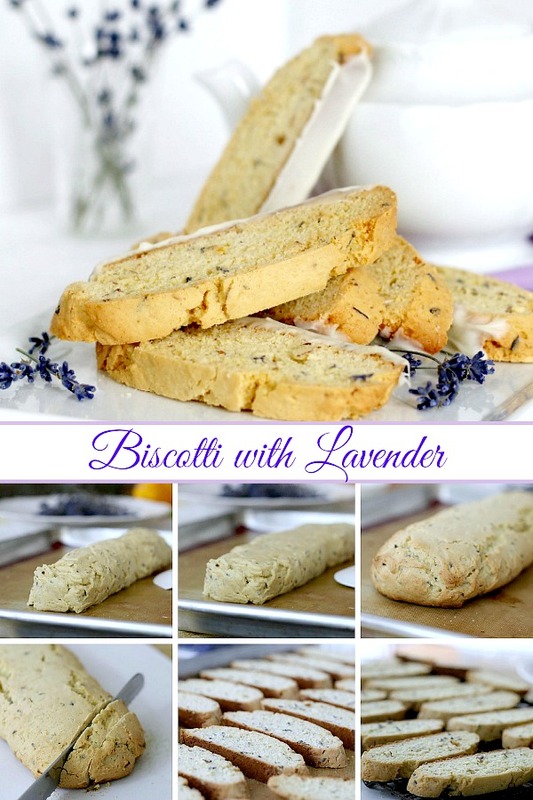 If you are fortunate to have lavender growing in your garden or know someone willing to share some seeds, I recommend baking a batch of Biscotti with Lavender. Set out your prettiest tray, make your favorite beverage for dunking and treat yourself to a little tea party. Or even better. Invite a friend over to chat and enjoy a summer afternoon. When cooking with lavender, use it sparingly as its flavor is intense and a little goes a long way. Too much culinary lavender in a dish can make it taste like soap. Make sure you are buying culinary lavender for a recipe, not the decorative varieties. As you would with any other herb, keep lavender out of direct light and in an airtight and dry container. 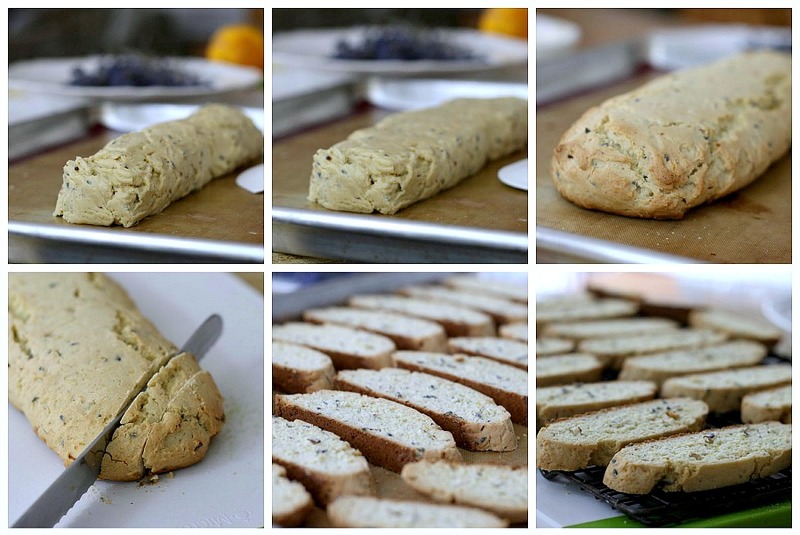 Culinary lavender will stay flavorful and fragrant for 1-3 years. Using culinary lavender either crushed, roughly chopped, or whole in a dish can add intense flavor and can be used in a variety of ways, like in drinks, meats, or desserts. Lavender is a perennial shrub and grows best in full sun and well-drained, alkaline soil in USDA growing zones 5 through 9. 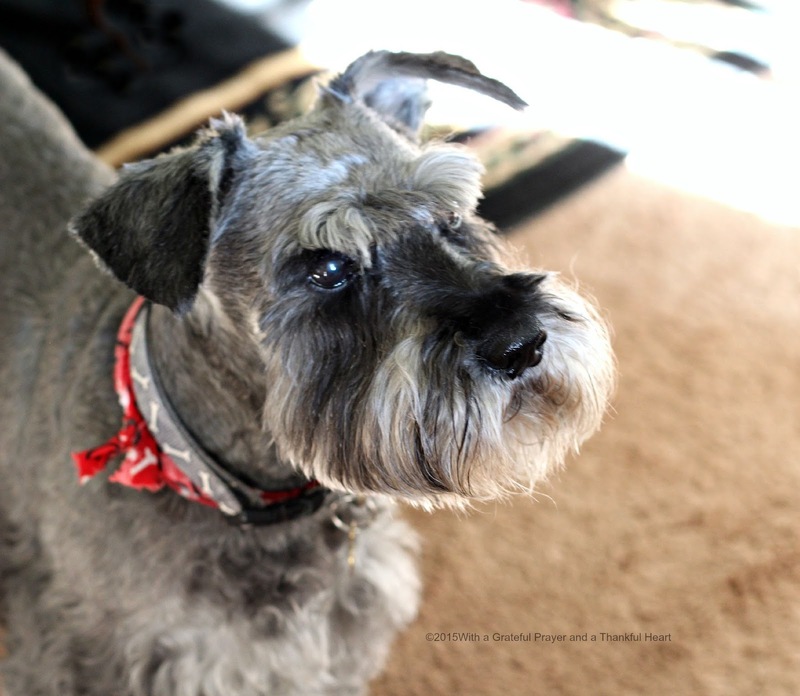 It often reaches a height of 1 to 3 feet with a loose and upright habit. It can have evergreen or at least semi evergreen foliage that lasts well into the winter depending where you live. The best time to harvest lavender that is highly aromatic and colorful, is after buds have formed but before the flowers have opened. Gather a handful of long flower stems in your hand and snip the flowers at their base. Wrap the bundle with twine. Hand upside down in bunches in a warm and dry location that is not in direct sunlight. Always harvest the whole plant at one time. The lavender will be completely dry in 2-4 weeks. Shake it very gently and rub the buds into a clean and dry bowl. 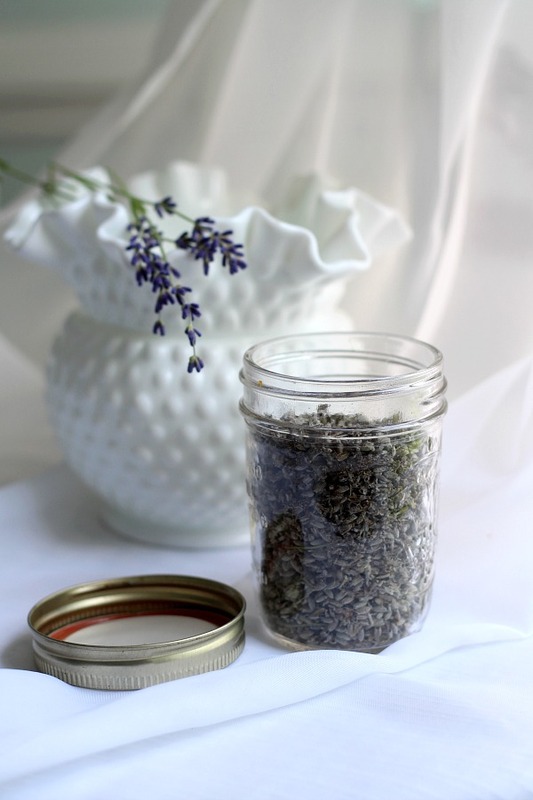 Store the dry lavender in a jar and place in a cool and dark location. Culinary lavender can be purchased from Amazon if you don’t have a plant in your garden. 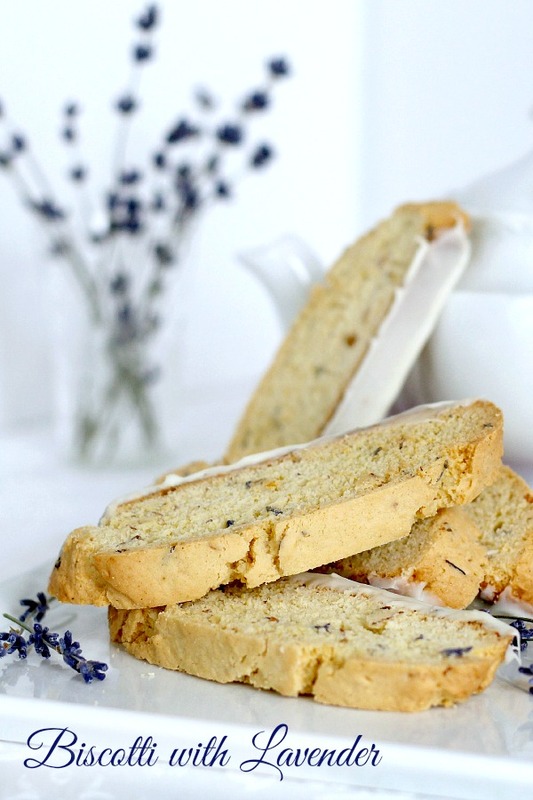 Lavender lends a slight floral essence to these crisp biscotti. 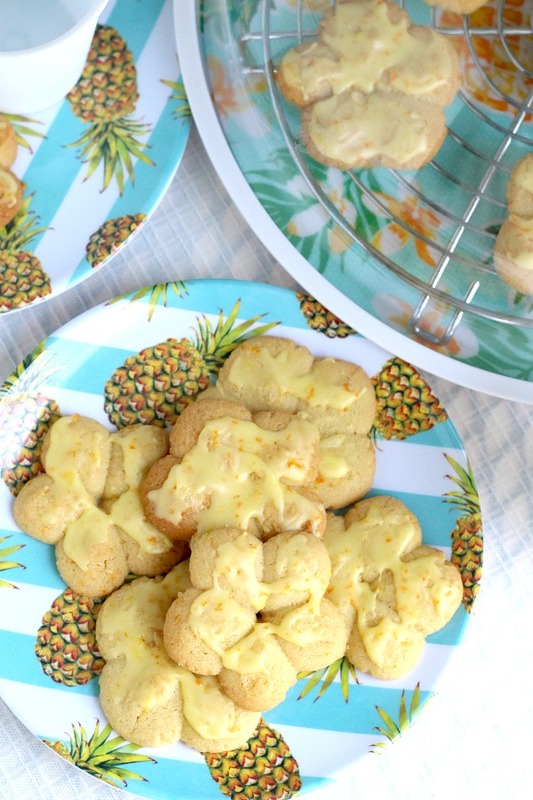 The white chocolate on the edge is optional but so nice as it adds a little extra sweetness to the not-too-sweet cookie. 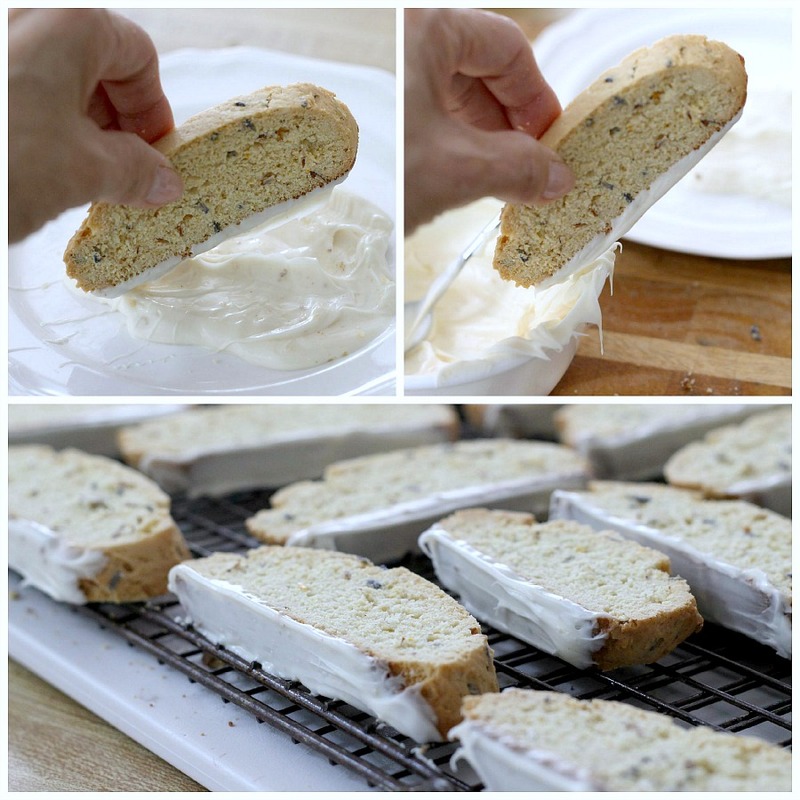 After making the dough, shape into a log on a baking sheet and bake. Cool, slice and bake for a second time. Beat first 4 ingredients at medium speed with an electric mixer until well blended. Add eggs, 1 at a time, beating until blended. Combine flour, baking powder, and salt. Gradually add flour mixture to sugar mixture; beat until blended. Stir in almonds and vanilla. Using a spatula or lightly floured hands, shape dough into a 10-inch log on a silicone mat or lightly greased baking sheet, and flatten to 1-inch thickness. Bake at 350° for 30 minutes. Remove to a wire rack to cool completely. Reduce oven temperature to 300°. Cut log diagonally into 1/2-inch-thick slices with a serrated knife, using a gentle sawing motion. Place slices back onto the baking sheet. Bake at 300° for 20 to 25 minutes (cookies will be slightly soft in center but will harden as they cool). Remove to wire rack to cool completely. Place 1 cup white chocolate melting disks into a shallow dish and follow package directions to melt in microwave. Dip bottom edge of biscotti into melted disks to coat, scraping excess off by running on side of dish. Place on rack and cool in refrigerator until hardened. And here is my boy seriously hoping someone will share their biscotti. Oh my, those look scrumptious! Your little friend is adorable! Lorraine, thank you for your comments while I've been away recovering from my heart issues! So kind of you to drop in and visit! Lavender is one of my favorite flowers. Your recipe sounds great! A few years back, you sent John some of your biscotti. He has been a fan since then. This is really beautiful with the lavender.